July opens with the understandably shocking news to many that the Government have granted a licence to allow test drilling for methane gas on the beautiful Mendip Hills of Somerset. If viable deposits of gas are found, it is intended to use the extraction process known as hydraulic fracturing often referred to as Fracking. 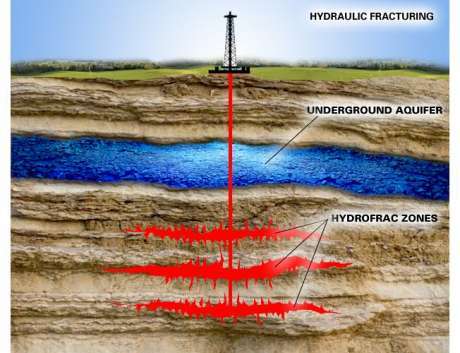 Fracking involves pumping water under high pressure into shale rock to create mini-explosions to fracture shale rock and thereby releasing whatever fluid or gas resource the rocks contain. This announcement has led to immediate environmental alarm bells ringing amongst locals as apart from being an outstanding area of natural beauty, the Mendip Hills are known to contain a vast and as yet unexplored interlinked cave network. Probably the best publically known of these subterranean caverns being Wookey Hole in Cheddar George. Further alarm is created by two recent earth tremors near Blackpool in Lancashire soon after nearby site began test fracking. The understandable fear is that the fracking process will allow gas or chemicals to enter water supplies. Despite assurances, if such contamination did occur, it is difficult to see how the process could be reversed. Tests once carried out on the Mendips water course by releasing a harmless dye into a stream showed the dye emerging miles away. This test showed the water course and cavern systems are all inter-linked even though the precise knowledge of how is not yet understood. Assurances and controls may all sound reassuring but people have grown cynical of these with the knowledge that such assurances and controls did not stop the disastrous environmental oil spillage in the Gulf of Mexico and that earth tremors have already been linked to this controversial extraction process. Who knows, perhaps the Witch of Wookey Hole will cast a hex on those that dare disturb her domain.